Meanwhile, in 10-inch skillet, melt butter over medium heat. Add chicken; cook 8 to 10 minutes, stirring frequently, until no longer pink in center. In small bowl, mix sour cream, milk and mustard until smooth. Stir in tarragon. Pour into skillet with chicken. Cook about 5 minutes, stirring frequently, until thoroughly heated. 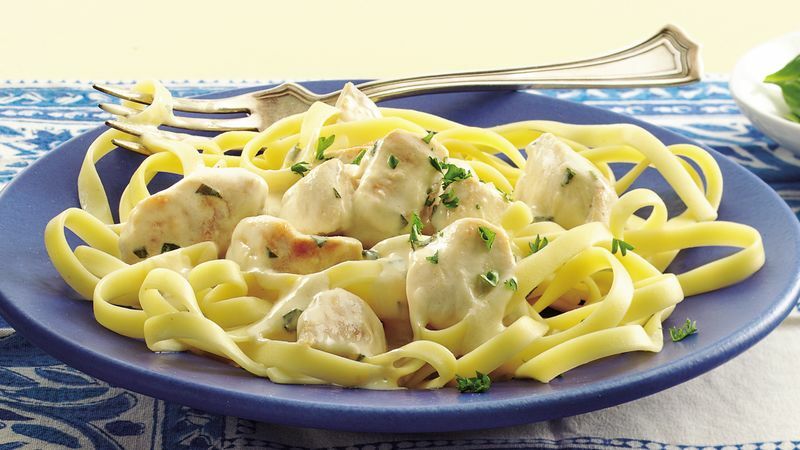 Serve chicken mixture over fettuccine; sprinkle with parsley. Serve with a salad of baby spinach, sliced fresh strawberries or mandarin orange segments topped with poppy seed dressing.